The Perth Motorplex, Kwinana Beach is conveniently located in Perth’s southern suburbs less than 30 minutes from the City centre. Opened in December 2000, the multi million dollar facility has become the centre of attraction for automotive based activities including Drag Racing, Dirt Track Speedway, Burnout competitions, Street Machine Car shows, Monster Trucks, Stunt Shows and Super Cross events. In addition the Kwinana Beach venue has hosted some of the biggest names in the Concert Industry including Guns n Roses, ZZ Top, Korn and Rose Tattoo. The facility boasts excellent access from Anketell Rd leading to a generous car park where patrons can choose from convenience parking or free general parking. All spectator areas have great viewing with Silver tickets and Gold reserved seating tickets with pit paddock access being the most popular. The Perth Motorplex has a wide range of catering outlets to suit all tastes. Licensed bars selling mid strength alcohol products are also conveniently located around the venue. (Please note that it is against the law to bring alcohol into Western Australian Sporting venues). 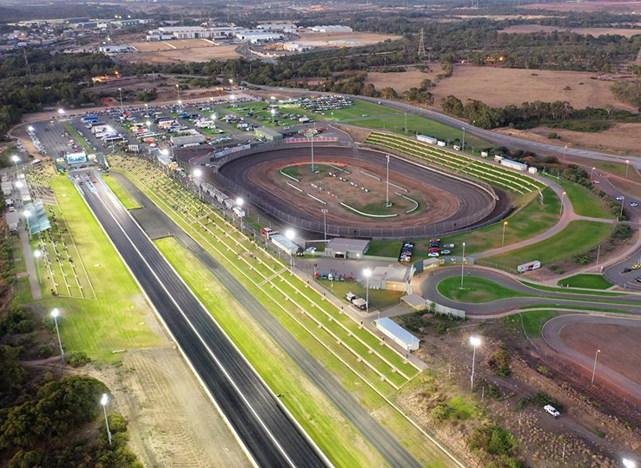 The Perth Motorplex has the latest state of the art stadium lighting – certainly a great advantage as most major events are conducted at night time. Major events including Drag Racing and Speedway are conducted from October through to April each season with Street Drag Racing running each and every Wednesday night from September through to May.